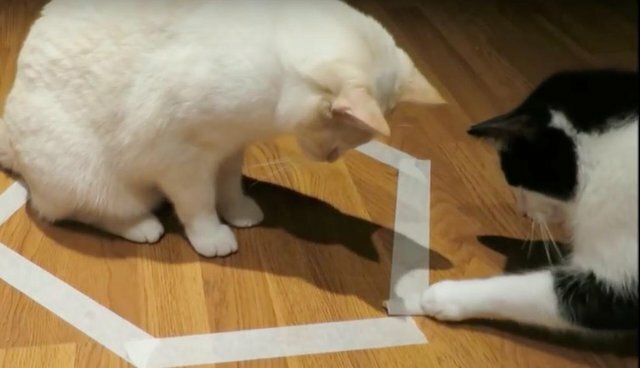 Choco the cat isn't the brightest cat in the world - this resulted in him being stuck in a "cat circle" (or in this case, a hexagon). Thankfully his friend Frosti knows he needs to come to Choco's rescue, from time to time ! These two friend have a bunch more adventures on their YouTube channel together with kitten Dadel and their two dog friends Ziggy and Maya.